I recently gifted a dear sister-in-law with two homemade beeswax candles. This has prompted her to do a blog post about beeswax candles. And that has been a major kick in the pants for me to share my candle adventure here. Making candles is so easy! Just melt and pour. It took me over a year to make two lovingly gifted candles. It took about an hour to make the actual candles but a year of research and development to create the plan. 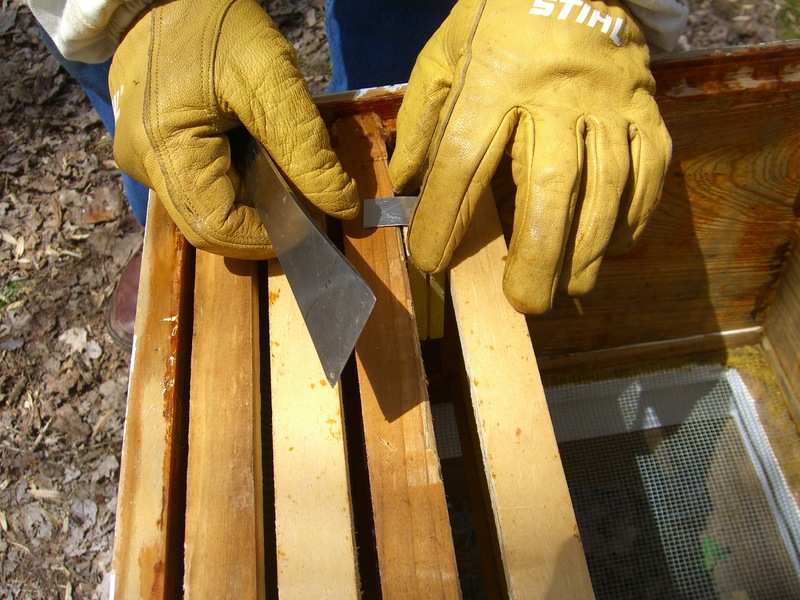 It begins with beeswax. 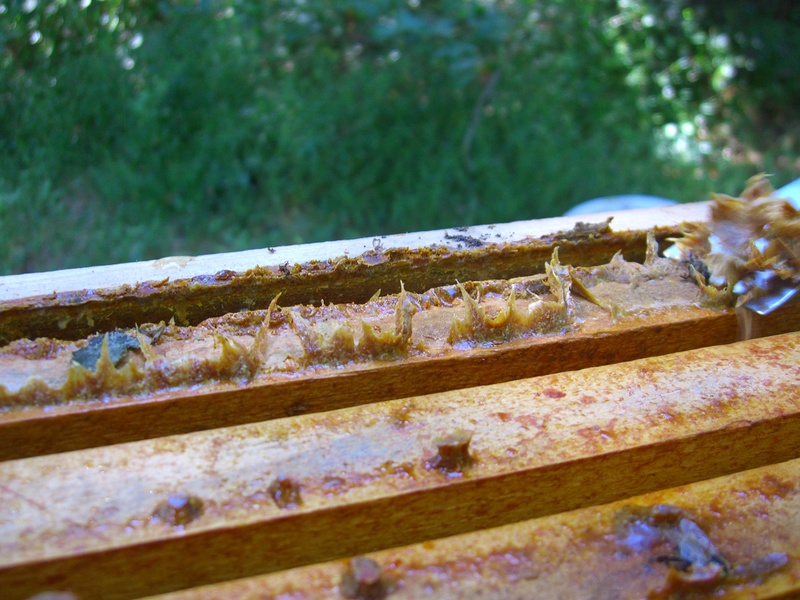 I could buy beeswax pastilles online, but I wanted to use the wax from our own bees. 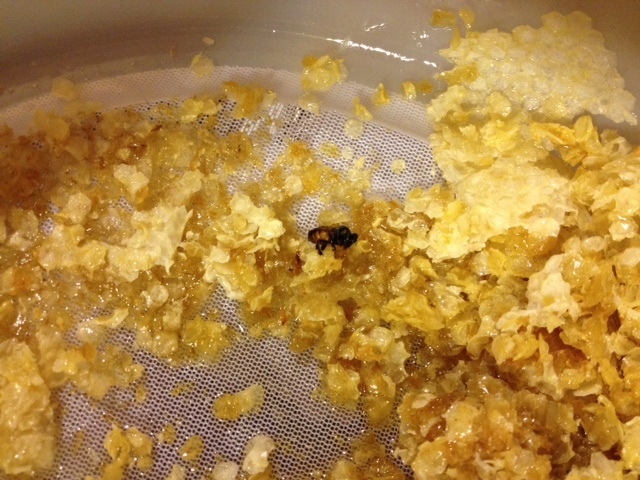 But first, I had to purify the beeswax. 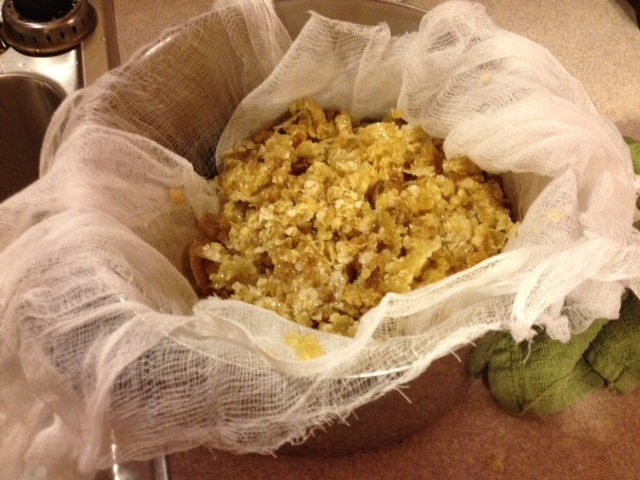 Normally, purifying the beeswax takes an evening. I melt wax from our hives in a pot of water, and a lovely disk of cool wax is ready for me in the morning. However, I have begun purifying it twice, because the second go-round results in a much cleaner wax. 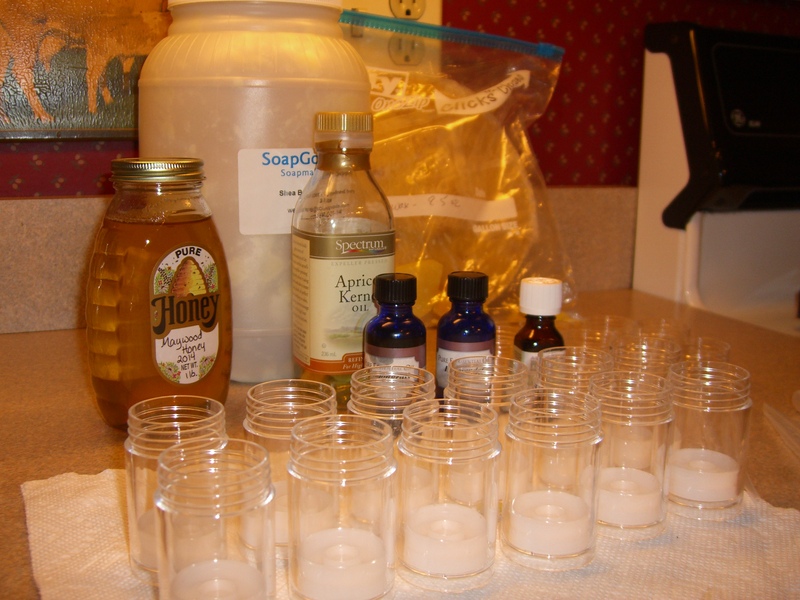 Cleaning it twice takes longer, but once the wax is clean, it can be stored indefinitely and is ready for making candles and lip balm. 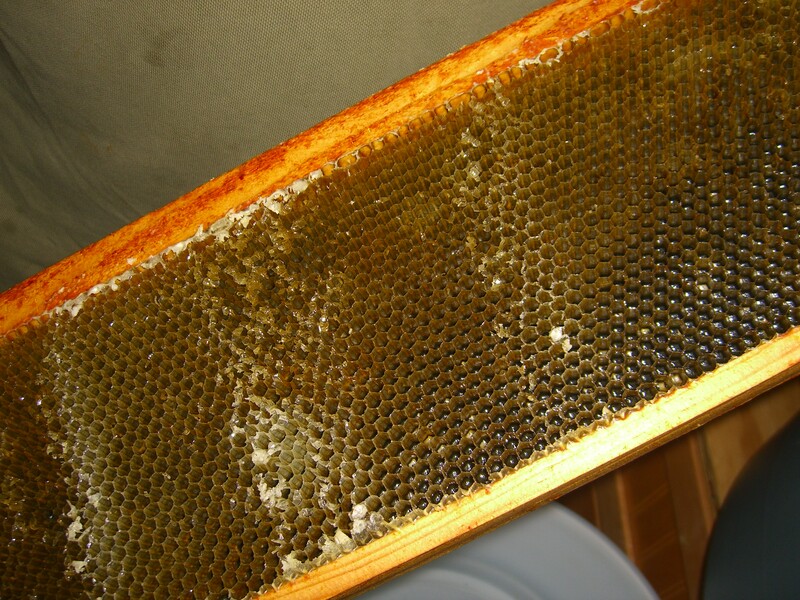 You can see how I clean my beeswax here. With clean wax ready to use, I needed to decide on a candle recipe. Pure beeswax candles would be awesome, but I had a limited supply of beeswax. 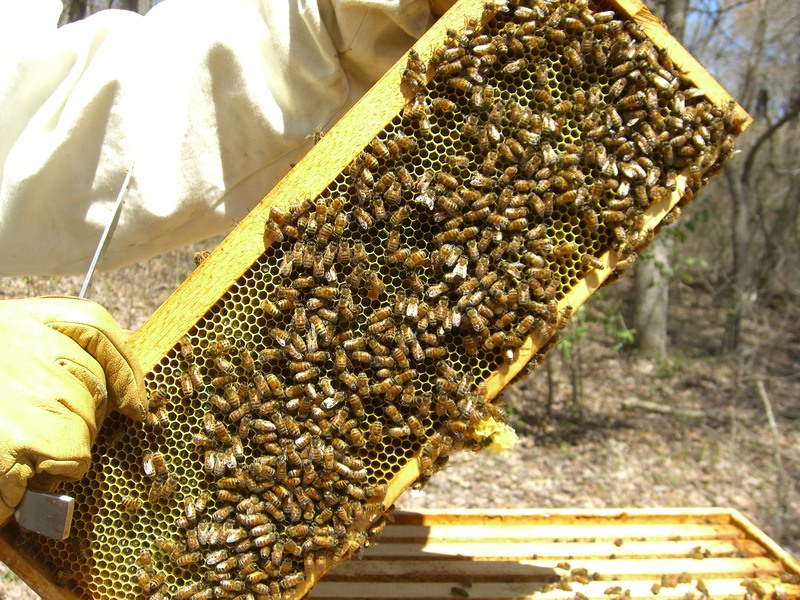 And until we have more success with our beehives, that supply will continue to be limited. So, I chose to blend two parts beeswax to one part coconut oil. I used processed coconut oil because I did not want coconut to compete with the naturally sweet smell of beeswax. For that same reason, I chose not to add any fragrance to my candles. The most important factor in producing a good candle was to determine what size wick I needed for the jars. This is where R&D got serious. I ordered a sample pack of wicks from CandleScience.com. The Candle Science website had helpful information about choosing the right wick size. The extremely helpful information said, “It’s hard to give accurate wick recommendations for Beeswax.” But they offered a sampler pack of ECO pre-tabbed wicks to practice with and the advice that beeswax, burning more slowly, will require bigger wicks than paraffin or soy wax do. So, with a sample pack of wicks and a variety of jars laid out in a grid on a paper bag, I melted the 2/3 beeswax-1/3 coconut oil in a double boiler that is reserved exclusively for playing with wax. That took about 45 minutes. Then I poured the hot wax into wicked jars. That part was wicked easy. A very important step came next–test burning the candles. If the wick is too big, the candle will burn too fast. It the wick is too small, the candle will not burn fast enough and the flame could drown in a pool of melted wax. Another problem with a too-small wick is “tunneling.” Tunneling happens when the wax does not melt to the edges of the container, so the candle melts down into a hole in the center of the jar with wax still along the sides. The proper size wick should result in a lovely pool of melted wax to the edges of the container after a two hour burn. We dined by candlelight that night of the test burn. Although the candles were systematically laid out on the kitchen island in rows labeled by jar and wick size, the science experiment still cast a romantic ambience over the room. All did not go as planned. I ran out of wax before getting to the correct jar with the correct wick size. All the candles had wicks that were too small. I melted some of the candles again and tried with the largest wicks in my sample pack. It seemed to be a tie between the ECO 12 and the ECO 14 wicks. I decided to go with the ECO 12. I made another, smaller, batch of candles with this year’s wax. The yield was four Yoplait Oui! jars. And I think the wick is too small. And I think that the Yoplait jar is not the best choice for my candles. A straight-sided votive would burn better. And I probably should use a smaller jar. The 4 oz. Yoplait jar is about the same size as a small Yankee tumbler. Next year, I will try a narrower jar and/or the ECO 14 wick. But I would also like to try to find the right wick for a pure beeswax burn. 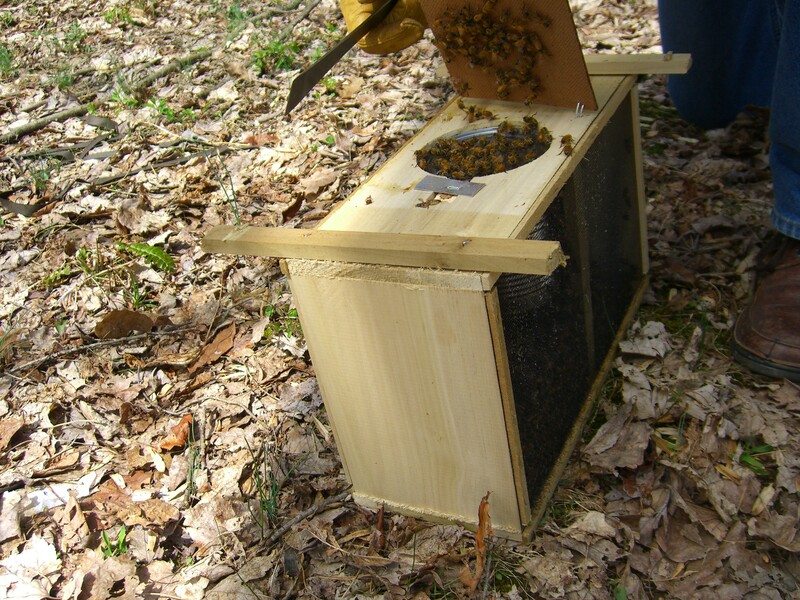 Getting a new hive of honeybees established is exciting but sometimes exasperating. Lately it has been more exasperating. 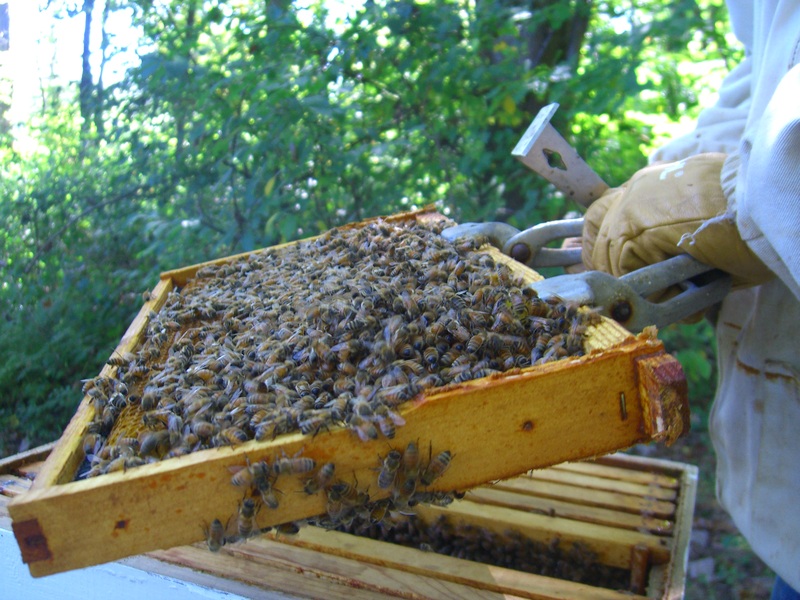 Last year was so exasperating that not one of our new hives managed to survive even the summer. We strongly suspect the problem was the queens. 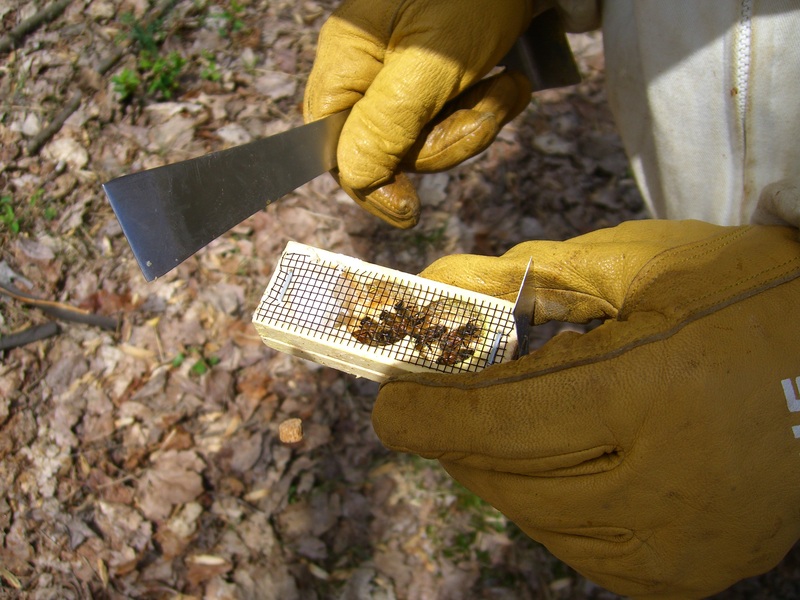 When they arrived last year, the queens were so small we could barely distinguish them from their attendants. (Yes, queen bees have attendants.) 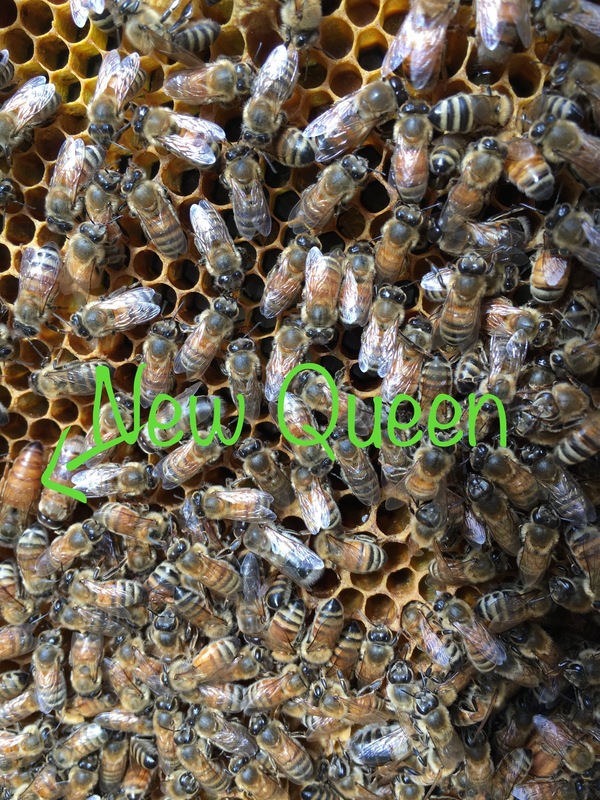 In hindsight, we question the regal stature of those “queens.” So this year, we ordered three new bee packages from a different supplier. 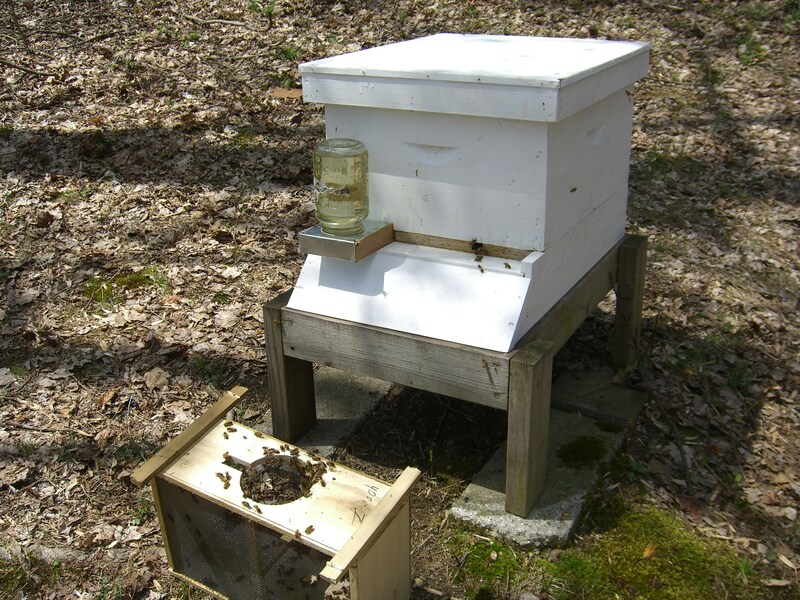 Two months after installation of this year’s packages, two hives are ready for second hive body boxes. 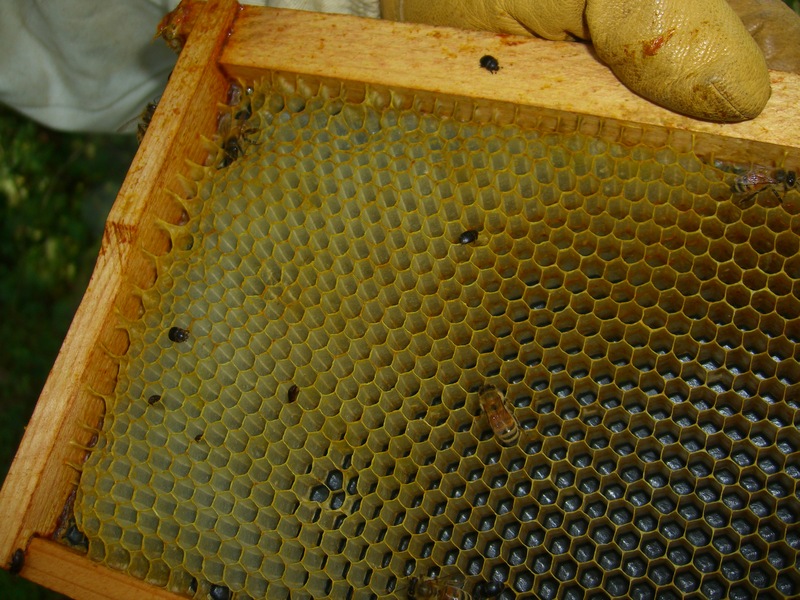 The third hive shows very little activity. 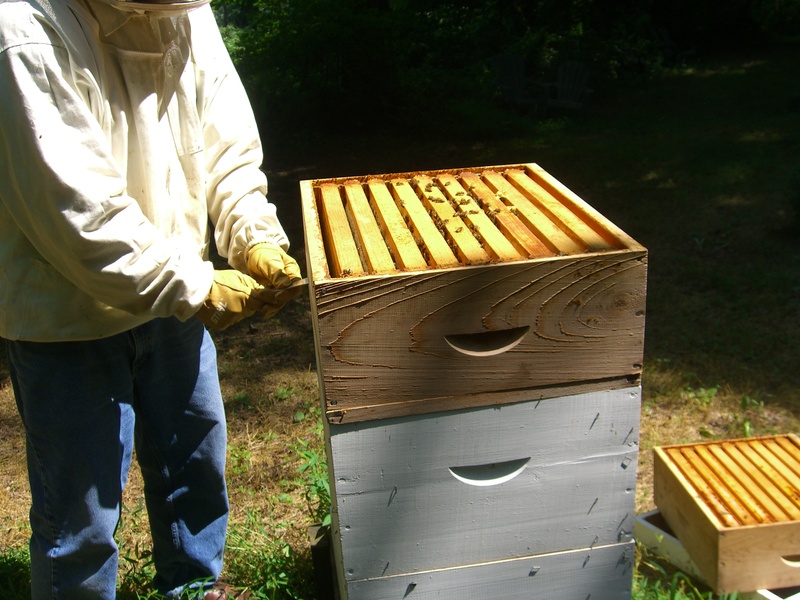 Mr. Beekeeper inspects the hive and finds very little brood and a dwindling number of bees. Exasperating. But lo and behold! A queen cell! How exciting! 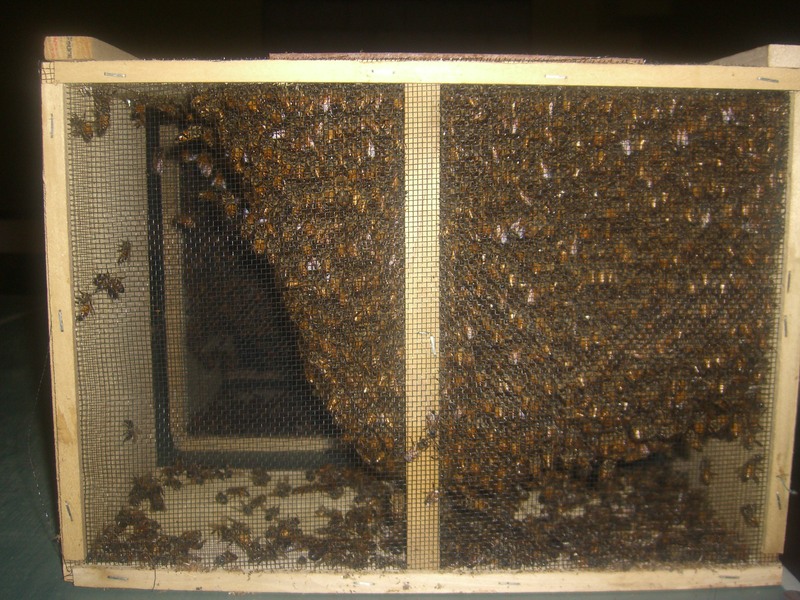 Queens cells take eight days to hatch from the time the cell is capped. 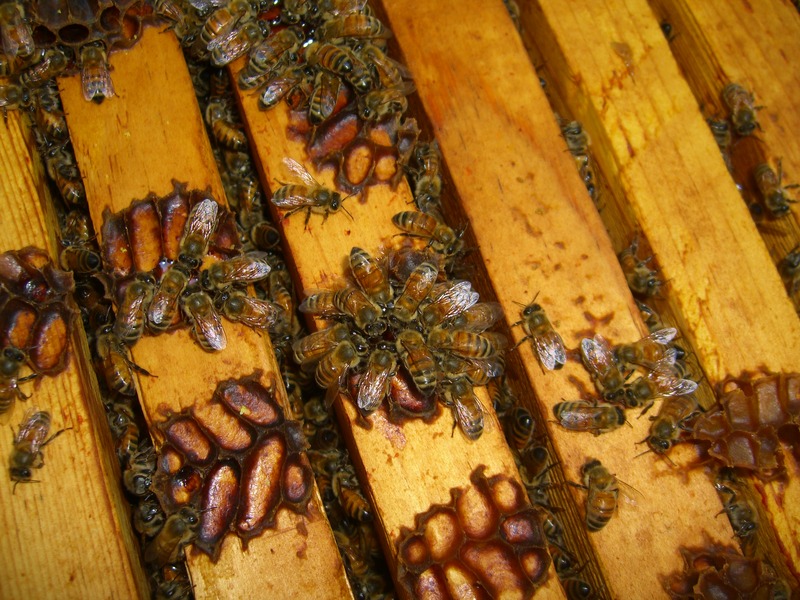 About ten days after spotting the capped queen cell, we take a peek inside. The queen cell is now empty. We look for the queen. This is sort of like Where’s Waldo–find the one bee that is longer than the hundreds of other bees. 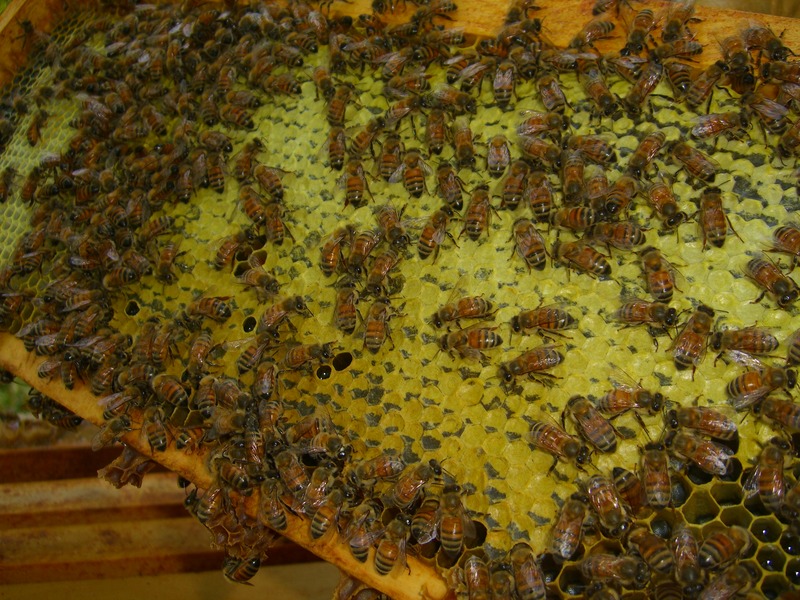 Fortunately, the bees are only on a couple of frames, one of those frames is exclusively capped honey, and the other frame is where the queen cell was. And we find her! Now we wait. The new queen needs two weeks to get established. She must exit the hive for mating flights with drones. There are drones visible in the hive and a few drone cells waiting to hatch. There are also plenty of drones buzzing around the other two hives. Our queen will not lack opportunity. And then she must get busy laying eggs. 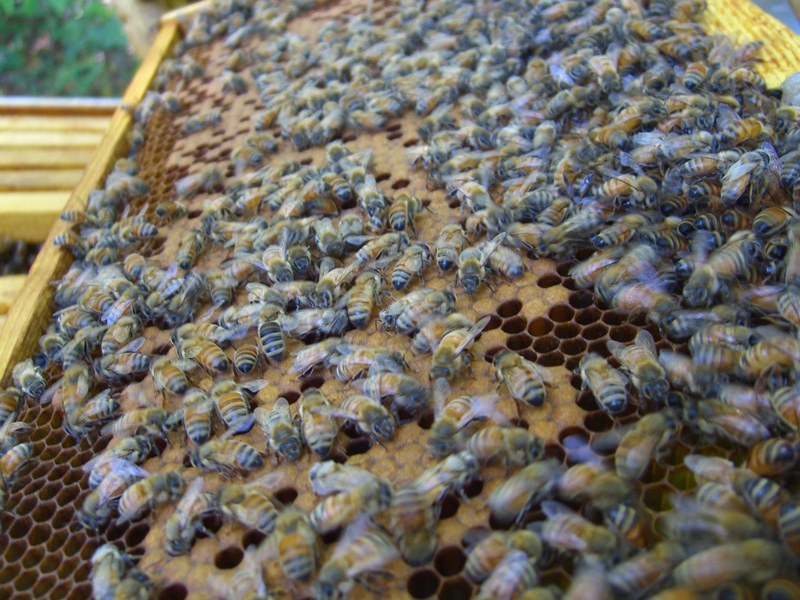 In about three weeks we will peek inside again, hoping to see lots of new brood cells. Here’s hoping we will still be excited in three weeks. There are 58,000 bees in the basement. It’s the end of March. We turned the clocks to “summer time” two weeks ago. 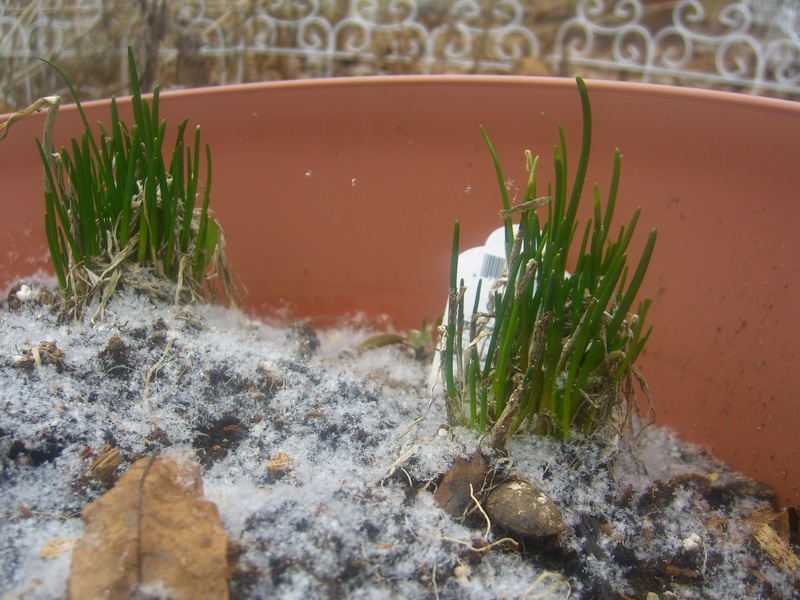 Last week the vernal equinox made it officially spring. Today we took delivery of four new packages of bees. At 9 a.m. we head to Snyder’s Apiary in Whitehall, windshield wipers brushing snow from the glass. The car thermometer reads the outside temperature as 28 degrees. Out at the apiary, the countryside is dusted white and snow “flurries” blow sideways in the wind, whipping our faces. Beekeepers in winter coats greet one another with snide remarks about the great weather. Why, you ask, are we getting bees when it is so cold outside? Because one orders bees weeks in advance and the Snyders drive down to Georgia on a scheduled day to pick up the orders in a truck. The bees have arrived. We have already paid for them. We must take them home. BeeMan and Junior BeeMan carry 16 lbs of bees to the car. 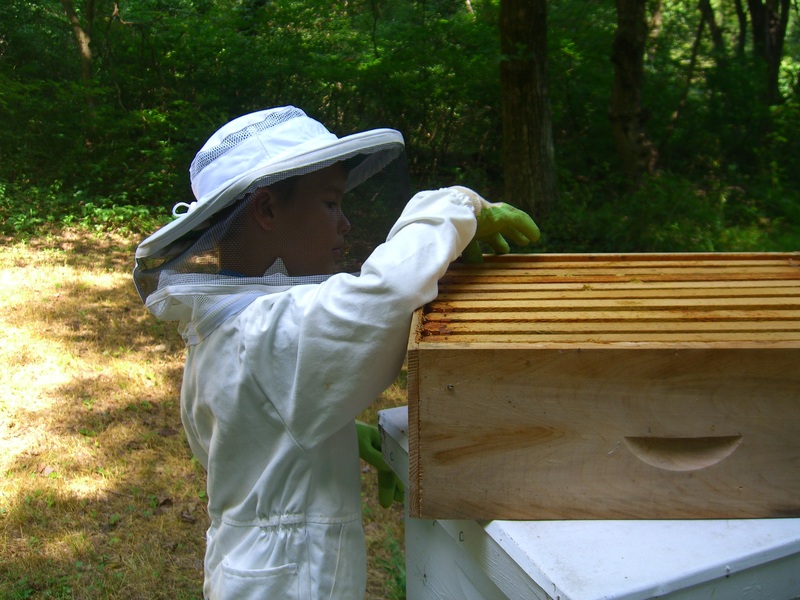 Junior Beekeeper comes with us this morning. He helps carry the bees to the car. They take up the entire back seat. A few Klingons (“cling-ons”) try to hitch a ride too, but without the advantage of the warm group hug in the bee boxes, they won’t last long. 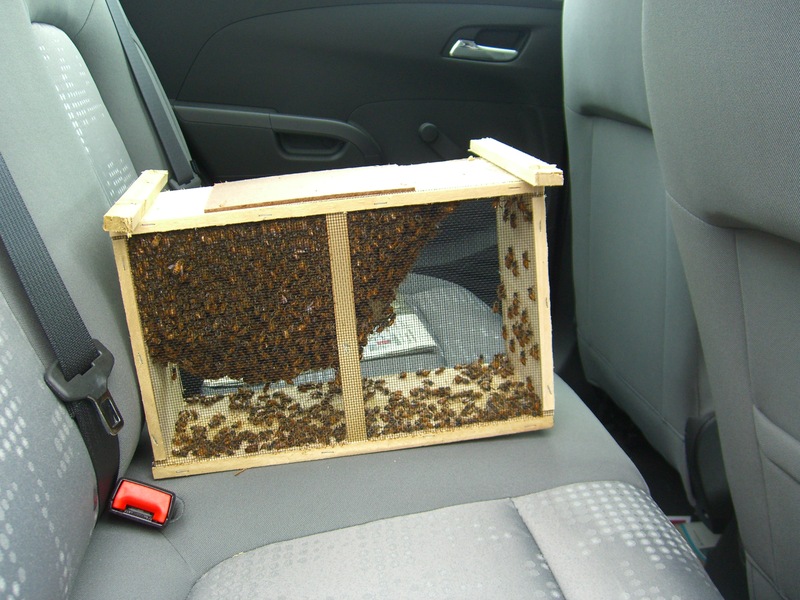 Sure enough, back home, when the boxes are removed from the car, a few motionless bees remain on the back seat. No, we don’t buckle them in. 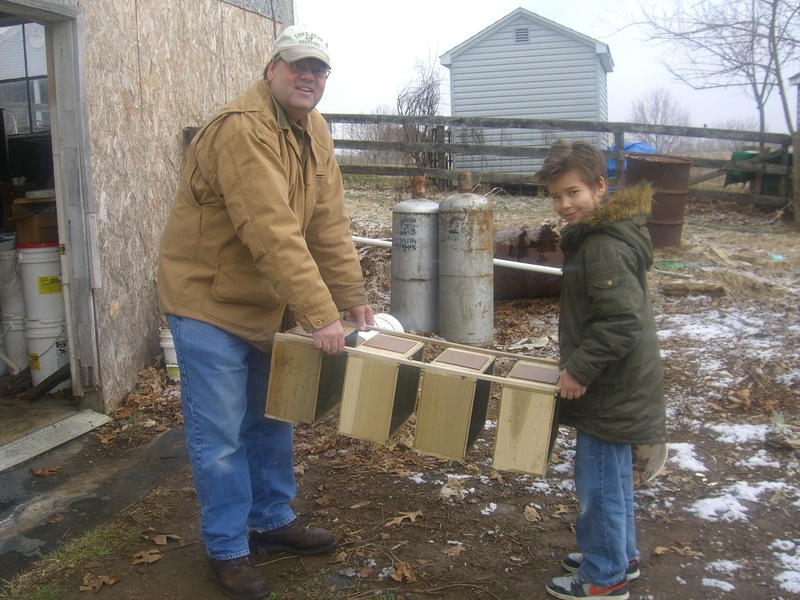 Alas, it is too cold to put the new bees in their hives. Tomorrow will be better and the rest of the week will be perfect, with temps in the 50’s and sunshine. So for now, 58,000 girls (and a very few guys) will have a little sleepover in the mancave. Today’s conditions for the snowbees. Conditions downstairs are almost ideal. The mancave is heated only by a woodstove. With no fire going, the temp is 55. And the only light is from the door. With the overhead lights off, it is both cool and fairly dark. A few bees buzz at the screens of the boxes but, for the most part, the bees quietly huddle around the caged queen and a can of sugar water. They can’t get out. Really. 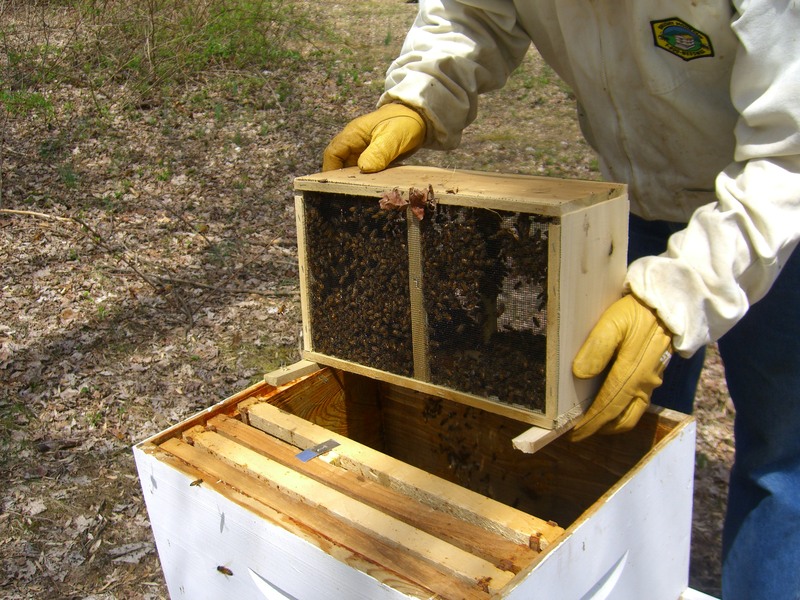 The bees can stay in the package boxes for up to five days. That includes the time they spent traveling from Georgia. Today is probably day three. If this cold weather were to last all week, we would have a dilemma on our hands. Fortunately, it won’t, so we don’t. 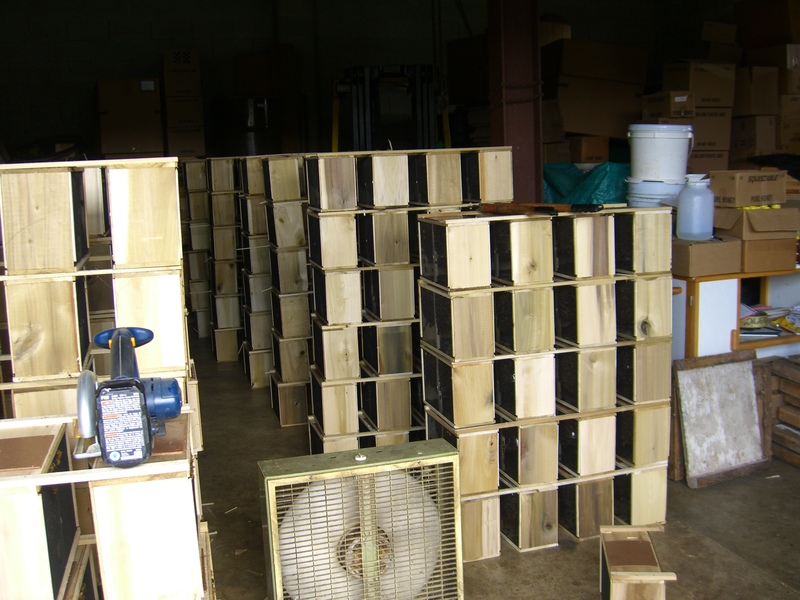 BeeMan has enough to do prepping the hives for the new residents. Cleaning out the Room of Outer Darkness to install a temporary apiary is not on the Honey Do List. 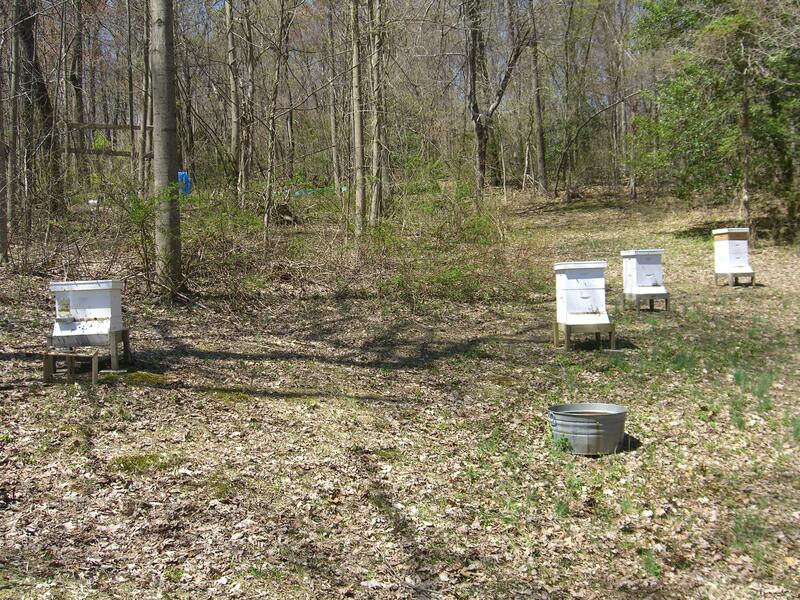 Tomorrow the bees will be installed in their new homes–outside in the bee yard where they belong. Maybe then we can pronounce the beginning of spring. The daffodils are trying to bring Spring. Bees in the mancave? How cool is that? It started as a joke at choir rehearsal. The bitter winter killed off all the bees and some wise guy suggested that we bring them inside for the winter. Roars of laughter as we all contemplated John and the bees watching football in his mancave. More laughter at the death glare I shot at my husband because I know the wheels are spinning in his brain. He has already been scouring the internet. 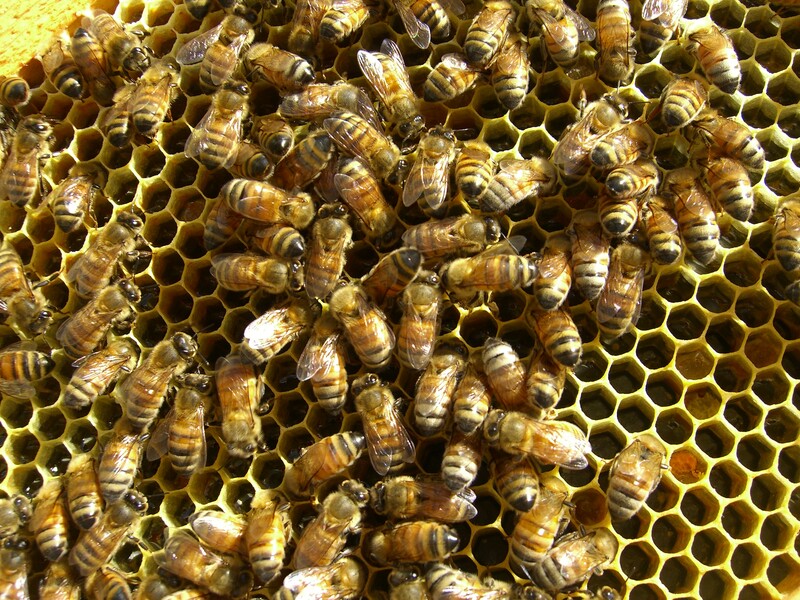 How do bees survive the winter in places like Idaho? They bring the bees inside to potato cellars, which are dark (so the bees sleep) and a constant temperature (cool but not cold). Research is currently being conducted on controlled environment wintering. A temperature somewhere in the mid- or low-40° F (5° C) range, total darkness, ventilation to reduce excess moisture and humidity, and fall feeding of Fumidil B to suppress nosema disease are some of the major considerations. Provision for refrigeration should be considered also because sudden warming spells in late winter or early spring could result in undue restlessness and activity within the controlled-environment room. Colonies on flat-bed trailers that can be rolled outdoors or back into the room during warm or cold trends also would be desirable. It looks so innocent from this side of the door. Unfortunately, we have such a space. It is the room of outer darkness. 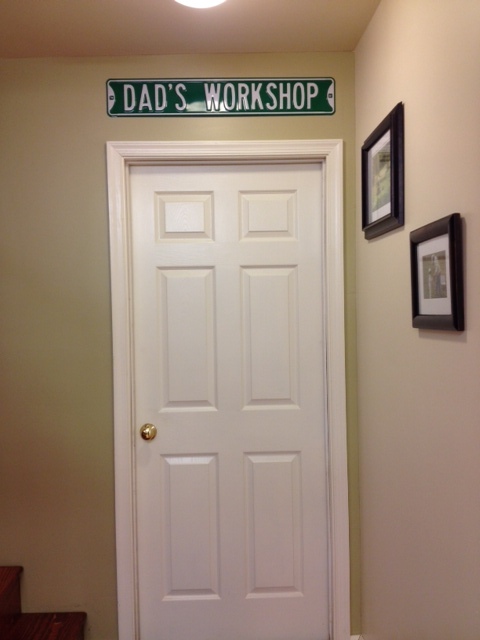 The entry is through the death trap known as “Dad’s Workshop.” Well, that’s what the sign over the door reads. It’s more like a holding bin for every man-toy needed to do any man task, a conglomeration of total disorganization amidst whiffs and piles of sawdust. So, is the outer darkness the right kind of “cool” for the bees? The main mancave, when the woodstove is not on, stays in the 50’s, which is great for using the treadmill but too warm for hibernating bees. 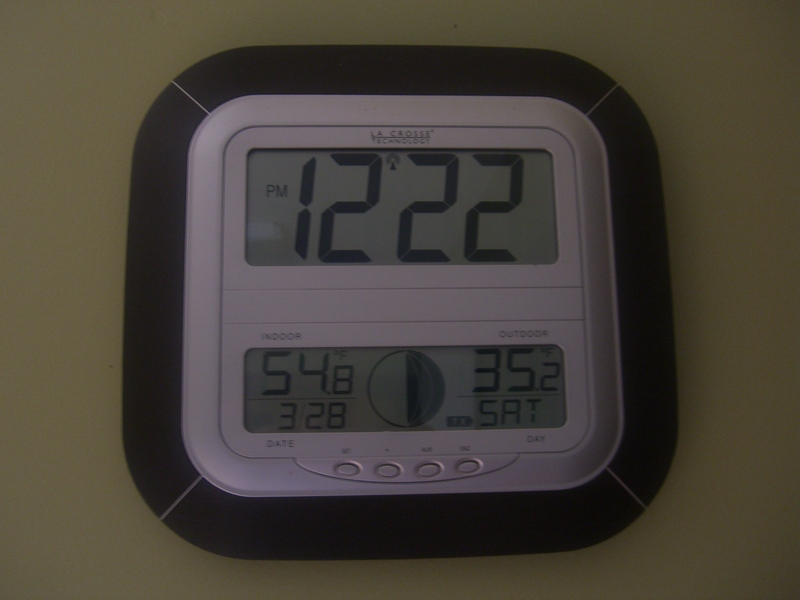 Mr. Beeman would have to monitor the temp in the outer darkness to see how cool it really is. 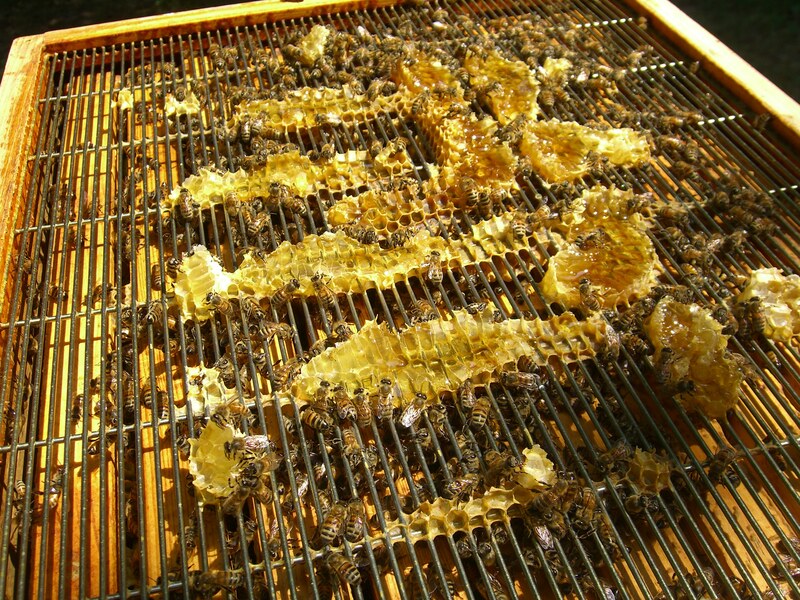 The last thing we would want is bees waking up to take a cleansing flight in the mancave while we are watching TV. That raises another question. 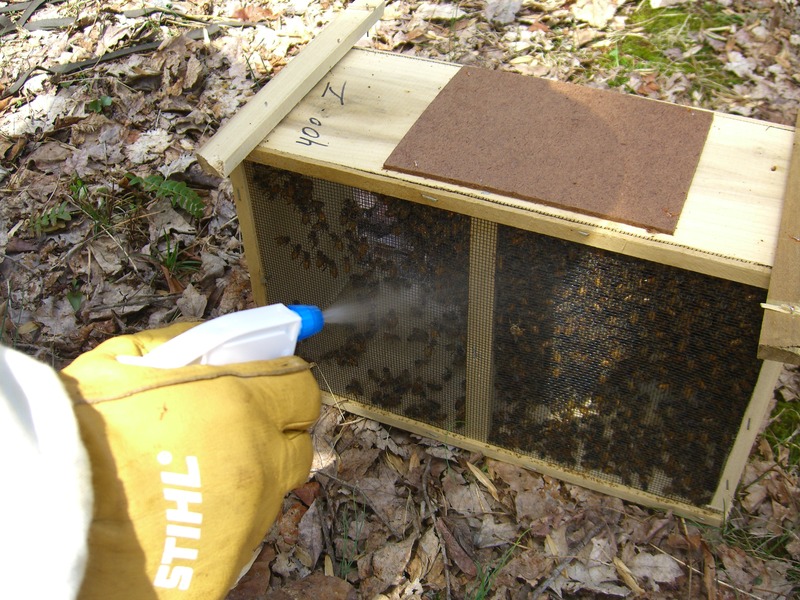 Can bees last an entire winter in a cool, dark room without occasional bathroom breaks? This winter was difficult, not just because of the bitter temperatures, but because of the extended stretch of days that never went above 50. 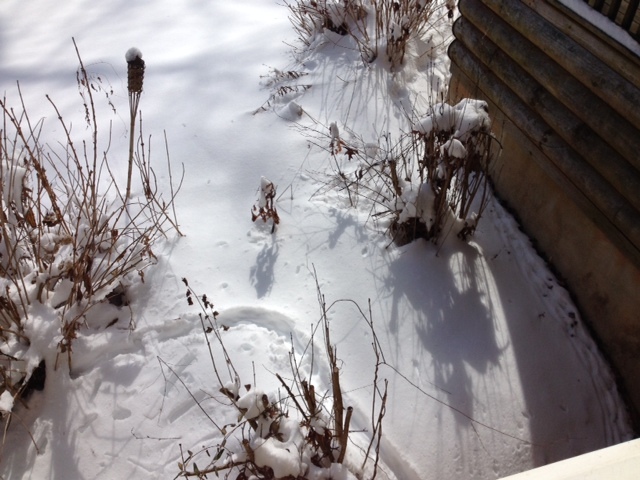 Bees take advantage of balmy winter days to relieve themselves. 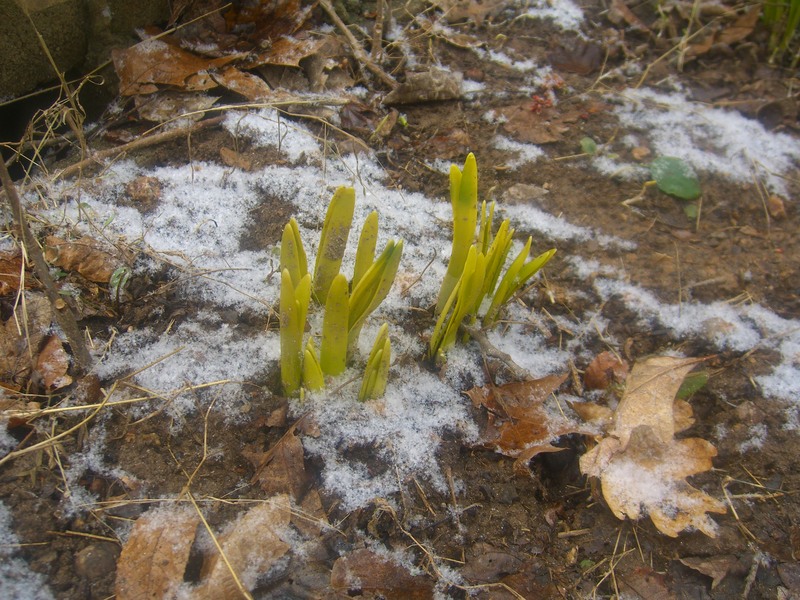 Fortunately, Winter 2015 appears to be over. 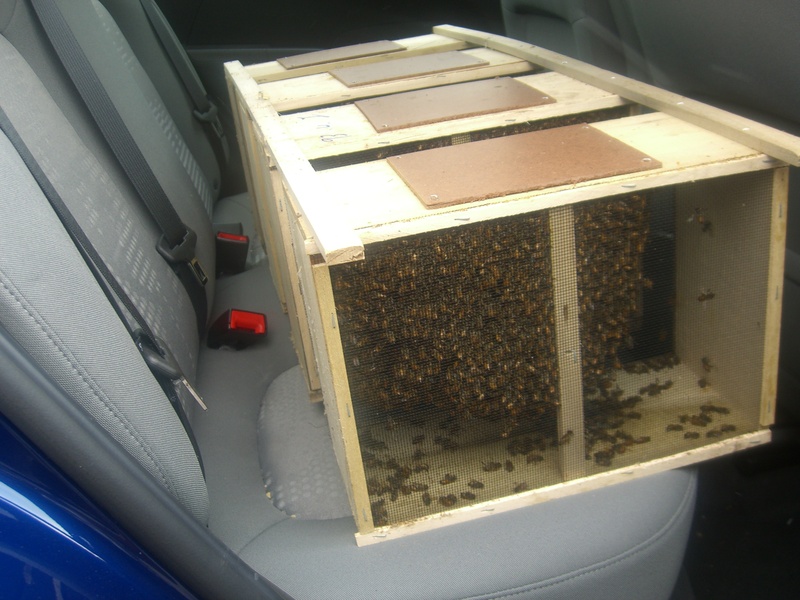 New bees arrive (we hope!) the end of this month. That gives Mr. Beeman an entire season to research the dilemma of Winter 2016 and to maybe clean out his shop and the room of outer darkness. 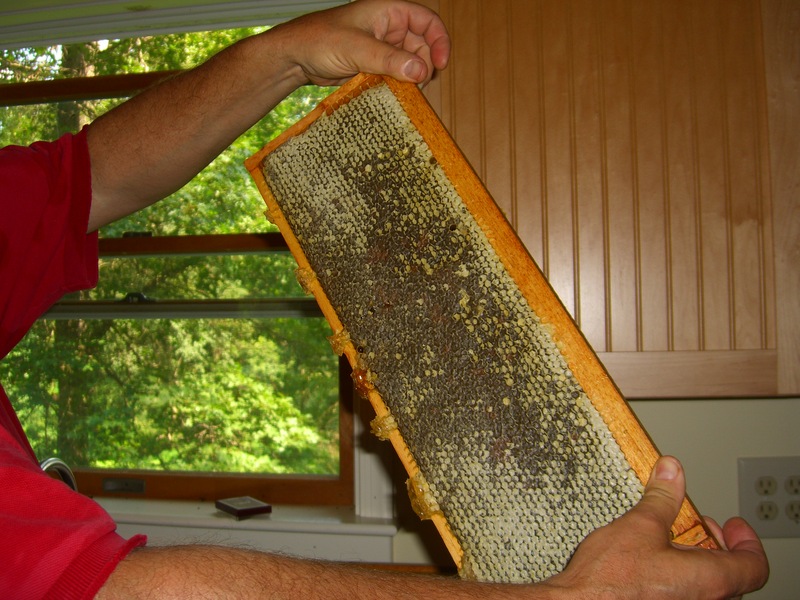 Hmmm…if overwintering the bees inside gets him to clean out the basement, it just might be worth it. Forget the wallet. There’s nothing in there but club cards to stores I frequent. What’s in the freezer is a much more interesting topic. Certain current and former colleagues will recall a Christmas party at our house at which we revealed little freezer bags filled with skinned squirrels, frozen in all their scrawny nakedness. The ensuing conversation revolved around all the staff members who had ever eaten squirrel. Based on the number of people who had eaten squirrel, one would not have thought that we were advanced degreed educators living a mere hour from the sophistication of Washington D.C. In our defense, I must say that those squirrels ended up in a very tasty French recipe,soaked for three days in cognac. Ok, I personally couldn’t eat the meat,having watched the squirrels splayed on the ping pong table being skinned, but it was quite a flavorful stew. 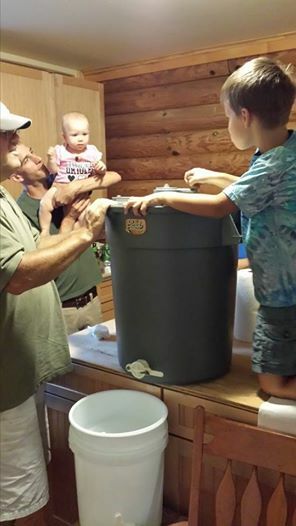 Then there was our (third) daughter’s wedding where the groom had to be warned not to open the green trash bag in the mancave freezer. It contained a decapitated deer head, with antlers of course, awaiting a trip to the taxidermist. The deer, in all it’s taxidermied glory, now watches over football games wearing a Raven’s cap. The freezer is currently available for things like ice cubes. My niece’s husband recently got a deer with a very nice rack on it and he wondered if he could store the head in our freezer. Ha ha, no. John suggested he put it in his father-in-law/my brother’s freezer. I’m guessing that went well…I haven’t heard yelling from my brother yet. Our currant unorthodox freezer arrangement involves bee hives. 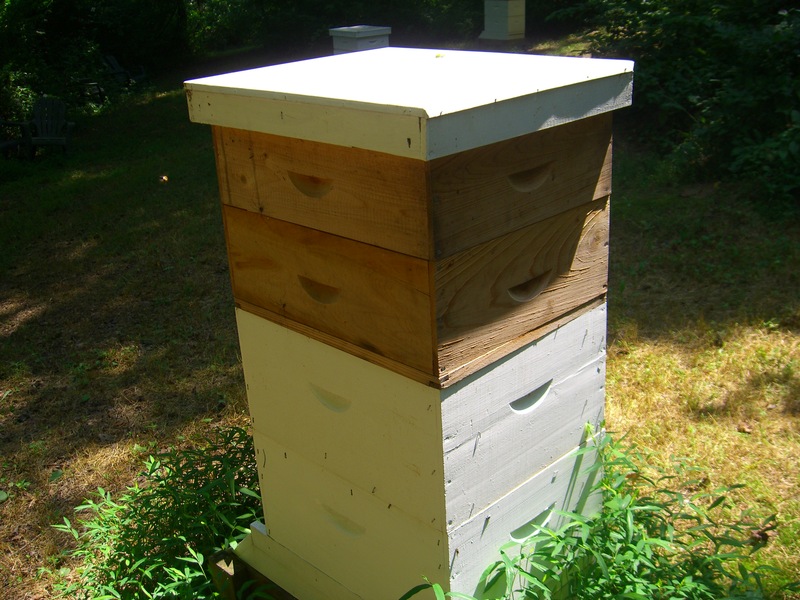 Bee hives can not just sit around in the mud room. Critters like them. Ants, for starters. And wax moths, for keeps. 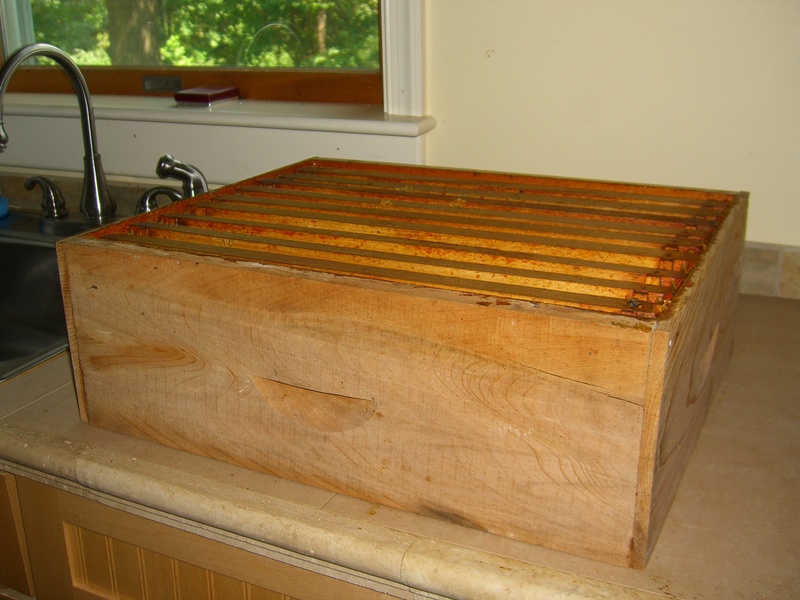 After spinning the honey in July, the honey box sat in the mud room for a little while. 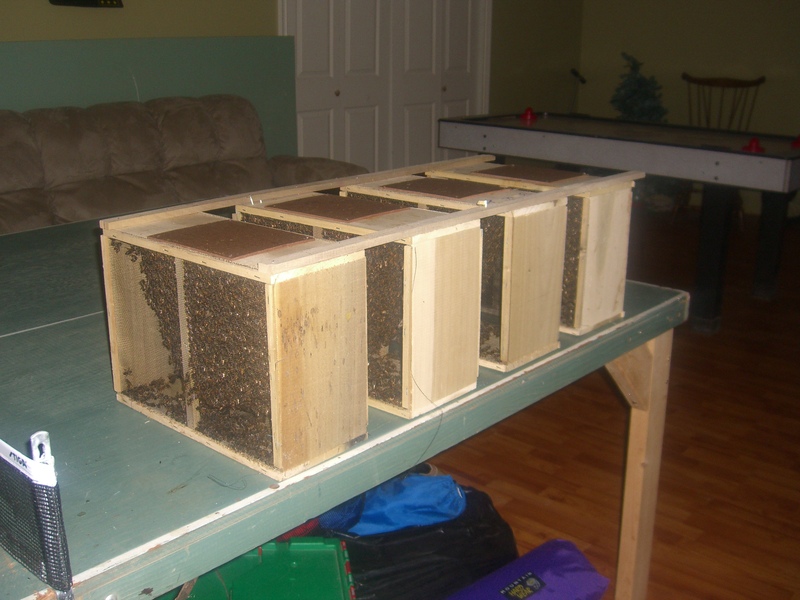 To ensure that no unauthorized squatters had taken up residence, Mr. Beekeeper put the frames on ice. A little time locked in the freezer will kill off unwanted pests. The difference between freezer storage versus fridge storage is that stuff can stay in the freezer indefinitely. It might get freezer burn, but it doesn’t get moldy or liquefy and drip into every inaccessible crevice. It sits there gathering ice crystals until you have to make room for something else. It may be inedible, but it doesn’t smell bad. Hey, my mom used to put garbage in the freezer so it wouldn’t stink up the trash. The current batch of hive frames will be ousted soon. 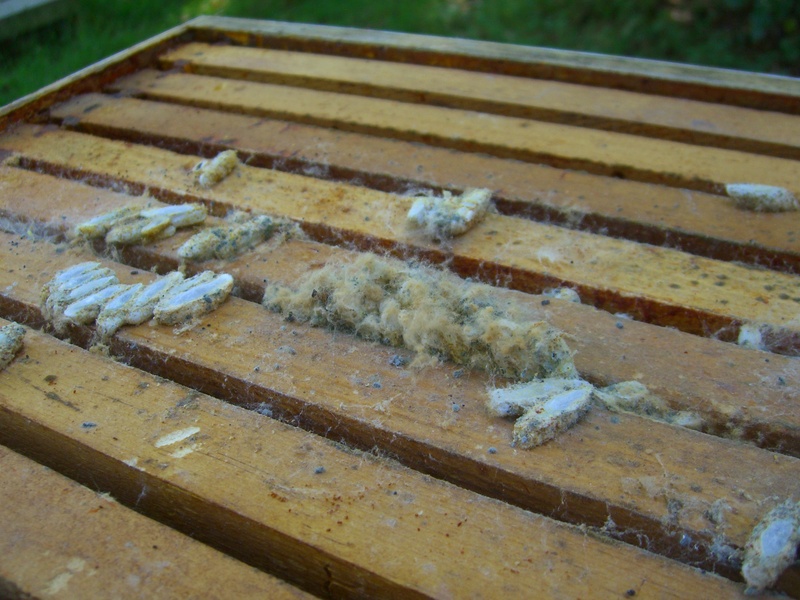 We have a dead hive whose hive box has been taken over by wax moths that need to die. Freezer as execution chamber. Some people store dead stuff in the freezer till trash night. Others store stuff in the freezer to kill it off. So what’s in your freezer? And don’t tell me it is full of apple pies and peach cake. I will believe you but I will be bored. 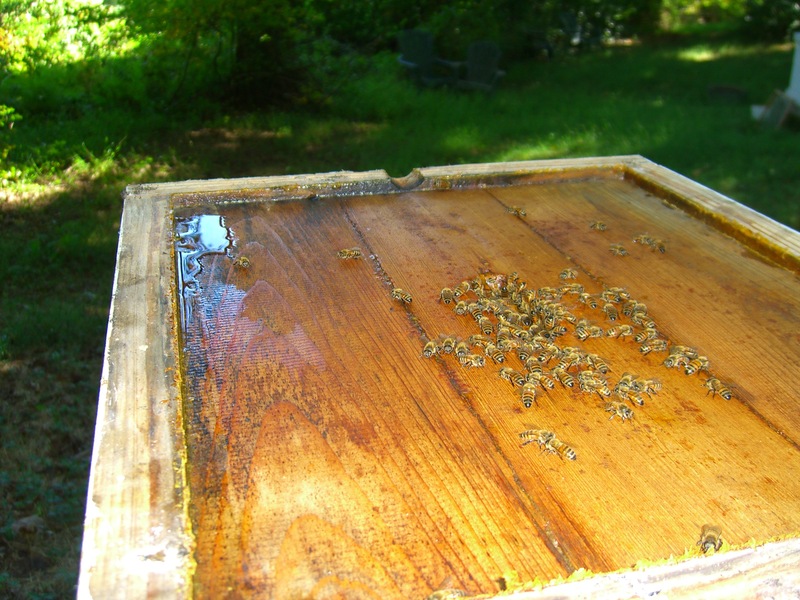 A box of honey has been spun and the cappings have been melted into a sunny yellow disc. 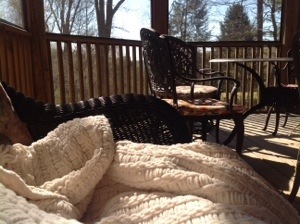 With the school year looming, I am desperate to spend these last few days enjoying summer projects before the first steps into the school building erase these ten glorious weeks of summer. Or maybe I am just stalling on getting into school planning. Two years ago, the last time I did this, I forgot to write down what I did. I’m not making that mistake again. In a double boiler, melt all the ingredients except the essential oil. Once it is melted, add the essential oil. For this batch I used 8 drops of spearmint and 12 drops of rosemary. 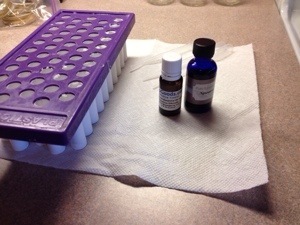 Quickly, before the mixture cools and begins to solidify, use a plastic pipette to fill lip balm tubes. I have a holder that accommodates 50 lip balm tubes. I can’t imagine trying to fill those little tubes without it! The purple thingy holds 50 lip balm tubes in place. Plastic pipettes enable me to fill them without making a globby mess. Once the mixture has cooled, put the caps on. 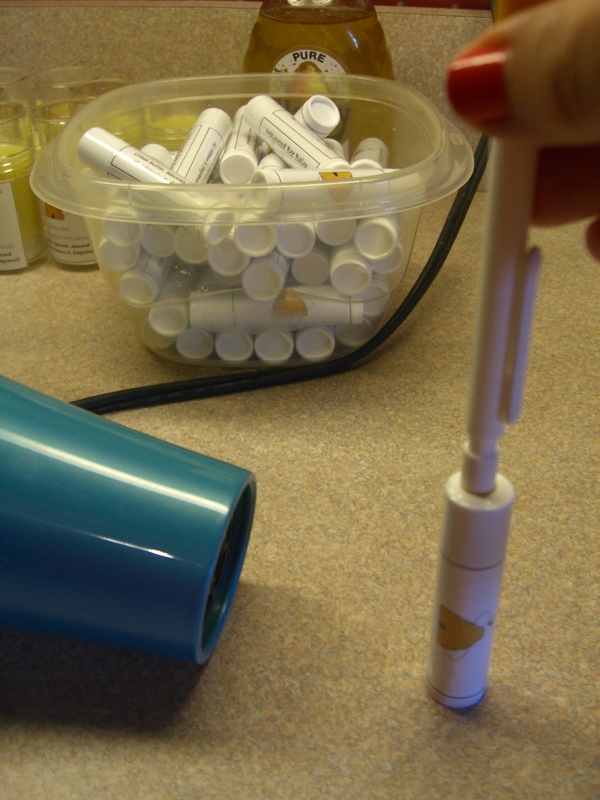 Label the tubes before making the next batch! This first batch filled 50 lip balm tubes with a little left over. The next batch filled 10 larger tubes. I used 4 drops lemongrass, 12 drops lavender, and 4 drops patchouli. Also a pipette of honey. A note about fragrance: fragrances are blended according to top notes, middle notes, and base notes. Like a musical chord. Top notes come on strong and evaporate quickly. (Like sopranos.) Middle notes emerge next and last longer. (A shout-out to altos.) Base notes anchor the chord. (Yeah, guys!) There is music and chemistry in blending fragrances. Fragrance charts are really helpful with this. The great thing about the lip balm is that it isn’t just for lips. It’s a great treat for tired teacher feet. I bought some larger push up tubes for rolling the stuff on my feet at night. 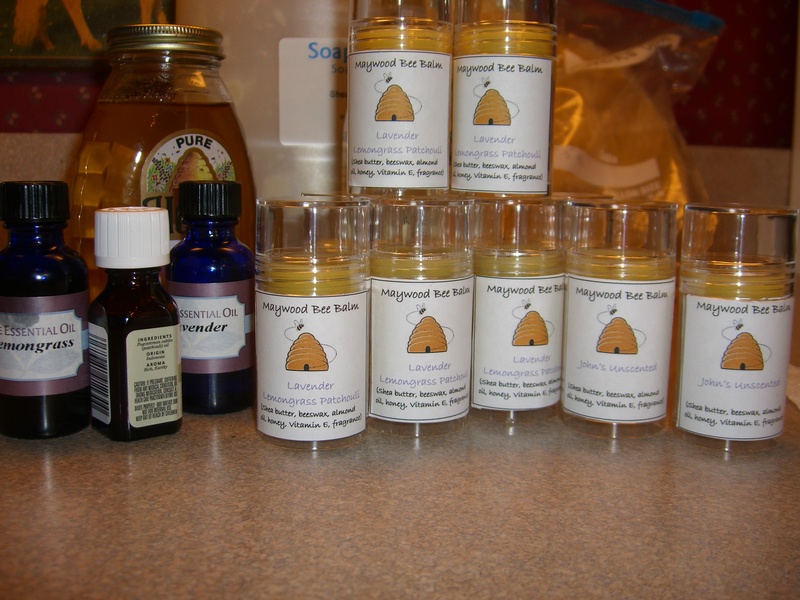 The lavender is a great fragrance for going to sleep but, before adding the fragrance, I poured two tubes unscented so Mr. BeeMan could treat his icky feet without smelling like a girl! After the balm is made, labels are needed. Once upon a time, I spent an inordinate amount of time trying to find labels the right size for the tubes. One can buy cute lip balm labels but they are expensive. I just wanted something I could pick up at Office Depot and print from the computer. A friendly Office Depot worker suggested that I buy 8 x 11″ labels and cut to size. That way I could be a creative as I wanted with the labels. Well, duh, what a great idea. Of course, my labels are creatively cut into squares. I spend some computer time tweaking the labels. 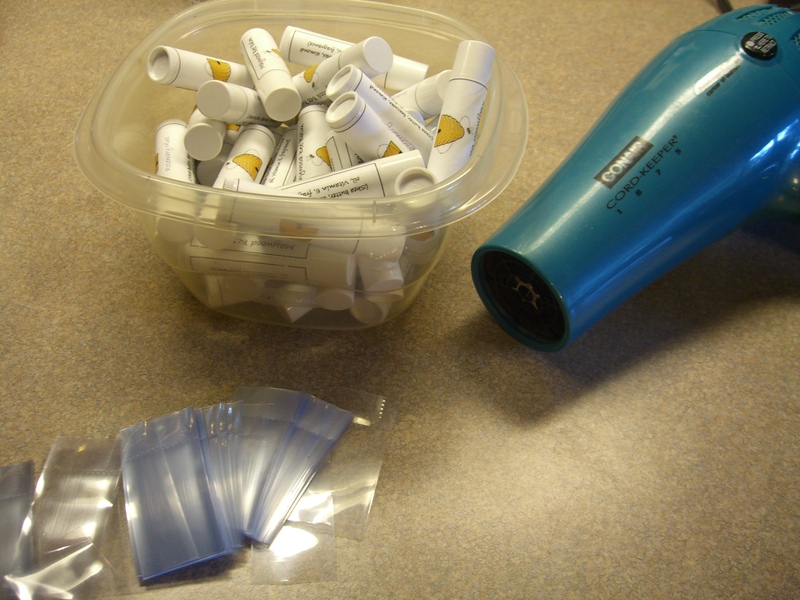 Then I print, cut, and have a lovely meditative time sticking the labels onto the tubes. That’s when John points out an editing error. You got it…after the labels are on the tubes. Free tube of lip balm (either size) to the first person to point out the editing error. John doesn’t count–he already got his. There are a few reasons why I put on shrink-wrap. Tip: hold tube in place with a pencil eraser. The tube won’t blow across the kitchen and you won’t burn your finger. It’s fun to watch the hairdryer shrink the wrapper to the tube. It keeps the lip balm from gooping up the label, which is just paper. I know which tubes are unopened! This is kind of important when gifting. It makes the product look official, instead of something I concocted in the kitchen (which I did). 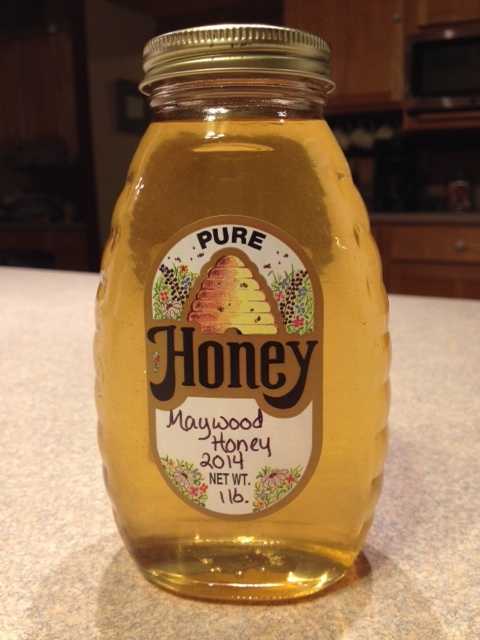 Now that I’ve warmed up to school with the honey harvest-lip balm making activities in math, chemistry, music, art, and writing, I should get to work on my French I planning. Oh no, that is going to involve new technology. A rant will probably be posted soon!